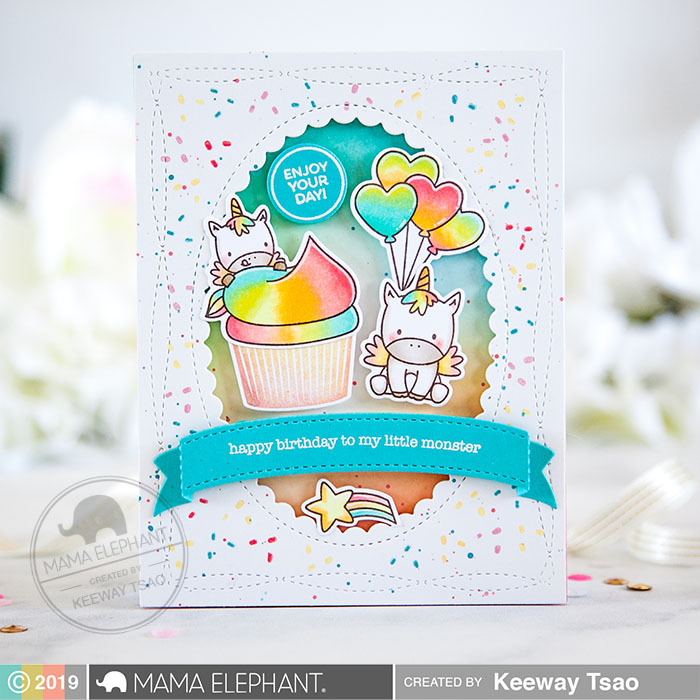 Continuing the Mama Elephant Stamp Highlight series, we are showcasing inspiration featuring the Birthday Messages set! 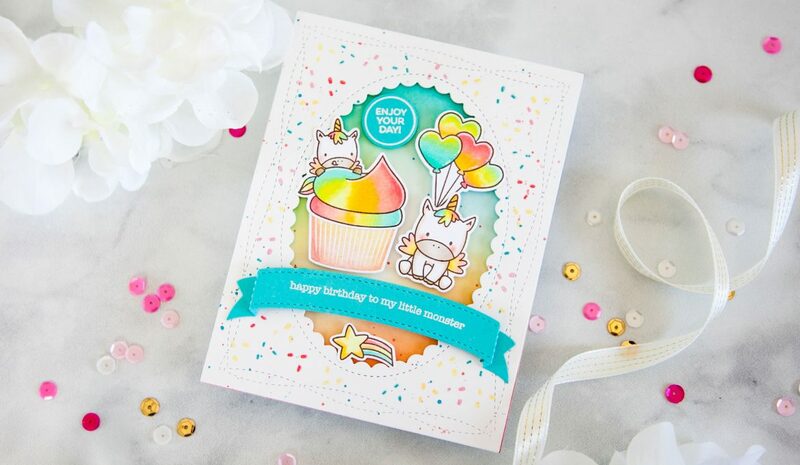 This set is a birthday sentiment staple, with tons of sentiment options to pick from for various recipients. 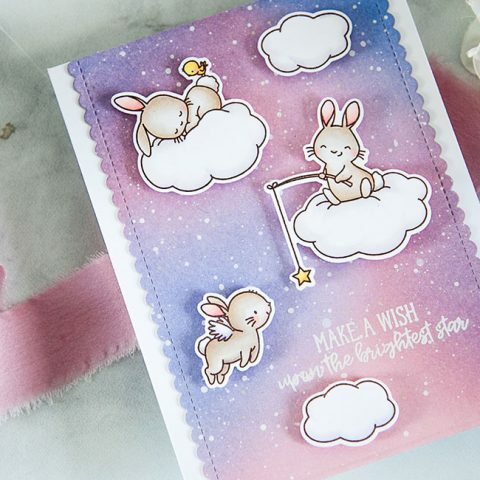 So this card is filled with unicorns and sprinkles! 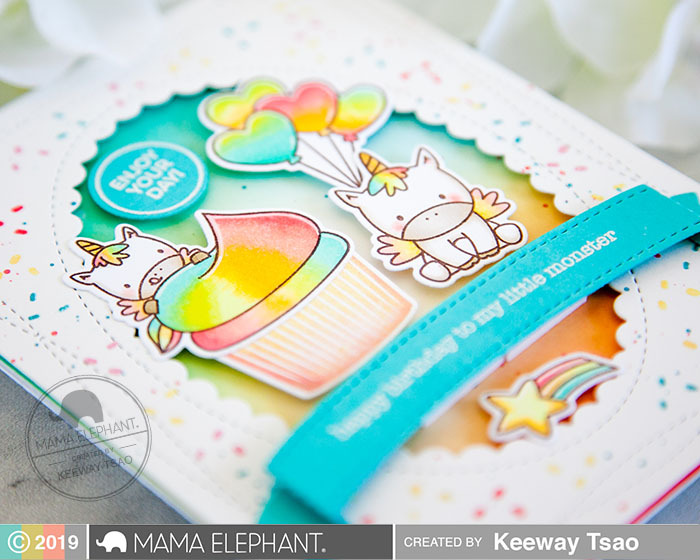 The images in the new Cupcake Wishes set coordinate with the images from Stackable Cuties, and so I paired the unicorns together! I also picked up the balloons from The Birthday Bash set. 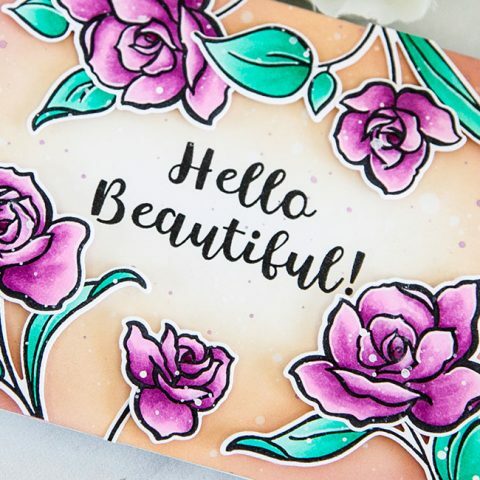 I stamped my images in a dark brown hybrid ink and colored them up with copic markers. 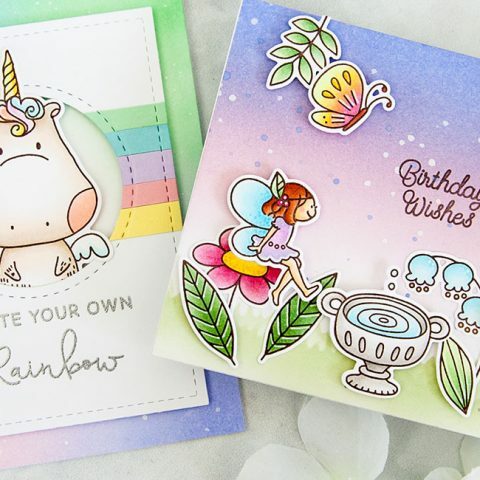 I love coloring in rainbows! 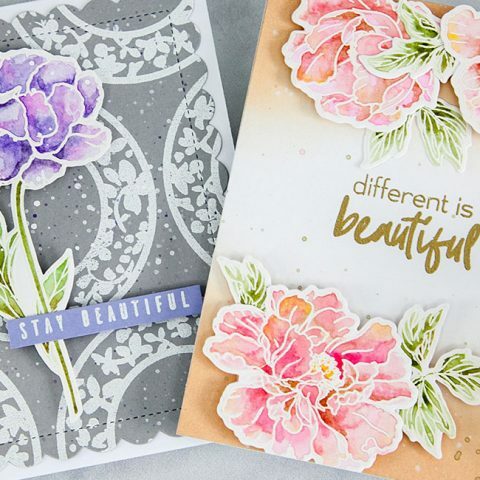 I ink blended background with distress oxide inks in similar colors as what I used on the images. I die cut a frame out of white card stock using the Oval Scallop Frames CC and Cloud Nine CC. 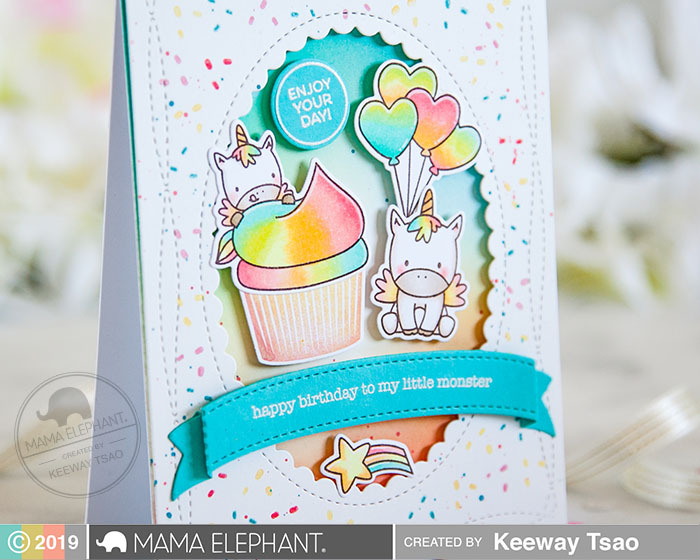 I then using the same inks I used on the background to stamp the sprinkle image all over it! 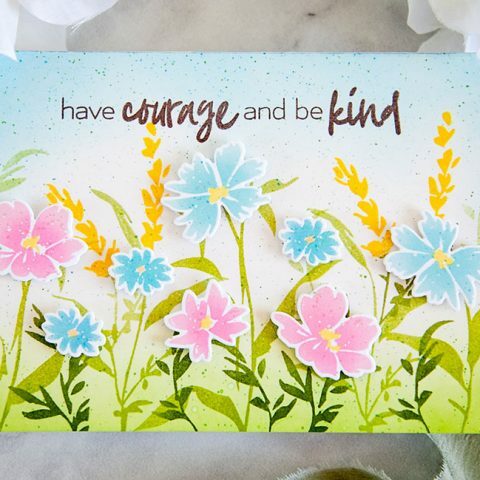 I die cut the 3D Arch Banner out of a turqouise card stock and I heat embossed a cute sentiment from Birthday Messages in white right onto it. 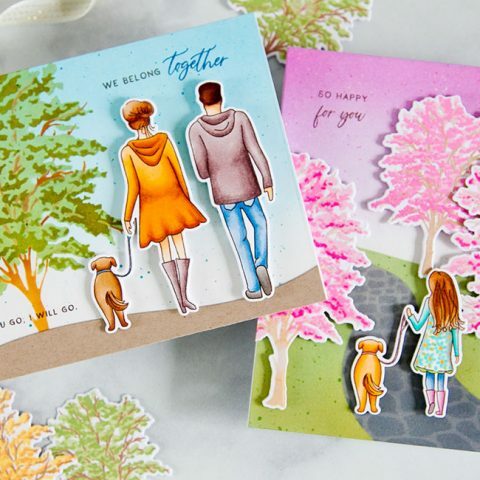 I did the same with the second sentiment in a circle from Cupcake Wishes. Now with all my parts completed, I assembled the card together with a generous amount of foam tape. Enjoy your day! 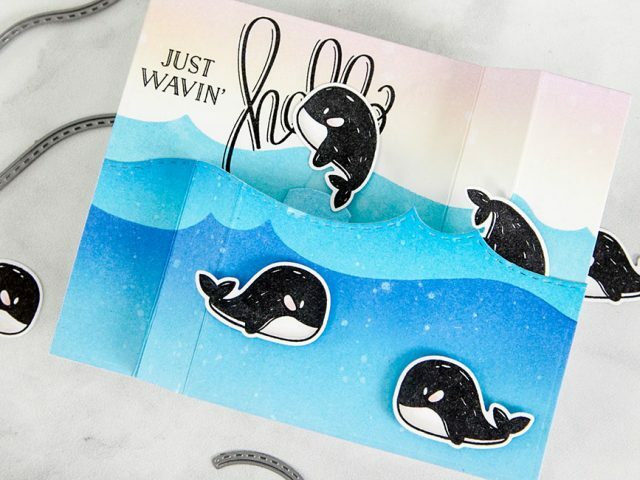 Adorable card, Keeway! I love the way you created a window for the birthday scene.